प्रत्येक व्यक्ति सपने देखते हैं। अक्सर सपने ज़िंदगी से जुड़े रहते हैं परन्तु कभी-कभी सपनो का हमारी ज़िन्दगी से कोई वास्ता नहीं होता. हर इंसान को अलग – अलग प्रकार के सपने दिखाई देते है. प्रश्न – अगर मैं सपने में सांप को मारना या पकड़ना देखुँ तो इसका क्या मतलब है? Question – What is the meaning of my dream if I see Snakes kill or capture? Answer- If you see Snakes kill or capture in your dream it means can conquer the enemy, sudden money can get. प्रश्न – अगर मैं सपने में सांप से डर जाना देखुँ तो इसका क्या मतलब है? Question – What is the meaning of my dream if I see be scared of snakes? Answer- If you see is scared of snakes in your dream it means Close friend can betray. प्रश्न – अगर मैं सपने में सांप नेवले की लडाई देखुँ तो इसका क्या मतलब है? Question – What is the meaning of my dream if I see Battle of Snake mongoose view? Answer- If you see Battle of Snake mongoose view in your dream it means Courts may have to go. प्रश्न – अगर मैं सपने में सांप के दांत देखुँ तो इसका क्या मतलब है? उत्तर – सपने में सांप के दांत देखने का मतलब है नजदीकी रिश्तेदार हानि पहुंचा सकते हैं. Question – What is the meaning of my dream if I see Snake teeth? Answer- If you see Snake teeth in your dream it means nearest relative can harm. प्रश्न – अगर मैं सपने में सांप छत्त से गिरना देखुँ तो इसका क्या मतलब है? Question – What is the meaning of my dream if I see Snakes fall from rooftops? Answer- If you see Snakes fall from rooftops in your dream it means the disease came to court and the court may be lost. प्रश्न – अगर मैं सपने में सांप का मांस देखना या खाना देखुँ तो इसका क्या मतलब है? Question – What is the meaning of my dream if I see Snake or eat meat? उत्तर – सपने में सांप का मांस देखना या खाना देखने का मतलब है अपार धन आये परन्तु घर में धन रुके नहीं. Answer- If you see Snake see or eat meat in your dream it means came a lot of money, but money did not stay in the house. प्रश्न – अगर मैं सपने में सपने में सांप का काटना देखुँ तो इसका क्या मतलब है? 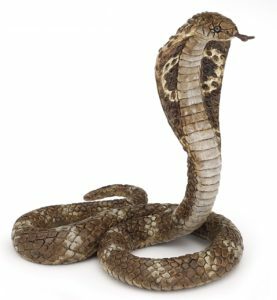 Question – What is the meaning of my dream if I see Snake bite? Answer- If you see Snake bite in your dream it means the person is going to come soon in the grip of some deadly disease.